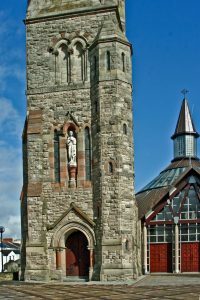 The town of Holywood is well chronicled as an early ecclesiastic site. In the middle ages it was known as Sanctus Boscus – the Holy Wood. We have approximately 2,000 families in the parish.